In Pennsylvania, the court will address physical and legal custody of any minor children, as well as visitation, and issue a custody order following a divorce. If the parties contest whether responsibilities should be shared or granted to one parent, the court will require each parent to submit a shared parenting plan. The plan indicates how each parent feels matters related to the day-to-day care of the child and major life decisions should be handled. The court will take these plans into consideration when making a ruling on custody. In making a decision on custody when the parents cannot agree on a parenting plan, a Pennsylvania court will look at what is in the best interests of the child. A judge has several factors to consider, including whether either party has been abusive, whether one parent is better able to attend to the physical and emotional needs of the child, the proximity of the parties to one another and any other relevant factors the court deems important. The court is prohibited from making a determination on the basis of gender alone. 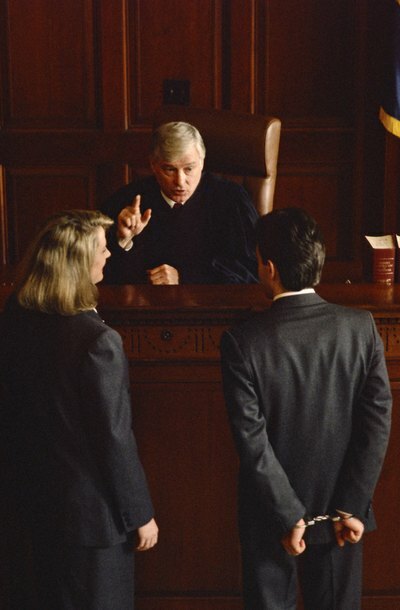 If a parent willfully fails to adhere to a custody order, the other parent can file for contempt. The contempt process begins with the filing of a Petition for Contempt, Rule to Show Cause and a Proposed Order in the same court that awarded custody. There is usually a filing fee, but if you cannot afford the fee, you can request that the court waive it. These documents must then be properly served on the other parent by mail, sheriff's deputy or private process server. The party filing for contempt must prove to the court that the other parent was able to comply with the order but willfully refused. This can be highly fact-based or turn on whose testimony a judge finds more credible. Witnesses that support your case can be valuable along with any other evidence that demonstrates that the other parent has been harassing you or refuses to adhere to the schedule. If found in contempt, the offending parent could face license suspension, a fine or even jail time. Even in cases where a couple agrees to get divorced, the process can seem like it takes forever. This is due in part to the amount of paperwork that must first be filled out, filed and then served on the other spouse. In Washington state, the required documents can differ depending on whether the couple has minor children and whether the parties can reach an agreement or need a trial. Knowing which documents are necessary and when they should be filed will help avoid time-consuming delays in the Washington divorce process. Is It Legal to Request a Parent's Phone Records in a Custody Battle?